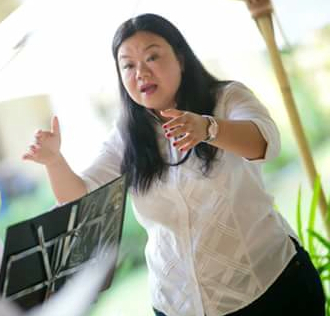 Saranya Saratham (ABRSM Teaching & ALCM Vocal) is an established vocal and piano teacher here in Bangkok having taught both privately and at a number well known International schools in the city. Saranya has also performed with a number of local choirs including BMS Choir, Bangkok Opera, Bangkok Community Theatre Chorus and AMAS Community Chorus. Her musical training includes time spent studying with the Royal Schools of Music , London College of Music, Trinity College of Music (London) and, currently undertaking a graduate music course with California State University in Los Angeles.